Scott Temperature was founded in 1945 in the basement of founder Emory F. Scott’s home. The shortages of the war years had left many things in disrepair – including local residents’ heating systems. Emory – who was known throughout the community as “Scotty” – rode the city bus in those early years, carrying two tool boxes to service customers’ needs. Service was somet hing that Scotty was passionate about. He prided himself on 24-hour service, 7-days-a-week. Scotty believed that a business is usually only a projection of someone’s character and personality. After weathering the economic storm of the thirties and the war years, his experience told him two things: one, that you only get out of something proportionate to what you put into it; and, two, if you don’t stand for something, you’ll fall for anything. Scotty’s belief was that one had to pick up the right ball and run with it. To that end, he walked into the Carrier district office in Kansas City in December of 1946 and asked to become a Carrier dealer. He believed that not all mechanical equipment was of the same quality – and his early years focused on service confirmed it. In 1948, the business moved to the 100 block of E. 9th St. And in 1950, Scotty moved to a larger location at 729 New Hampshire. In 1962, he moved up the street to 8th and New Hampshire where it remained until 1969. When that building was sold, he made the decision to invest in the community that had invested in Scott Temperature. He built an 11,800 square foot building at 1815 Bullene to accommodate his expanding business, which now included the second generation, his son, Roger. 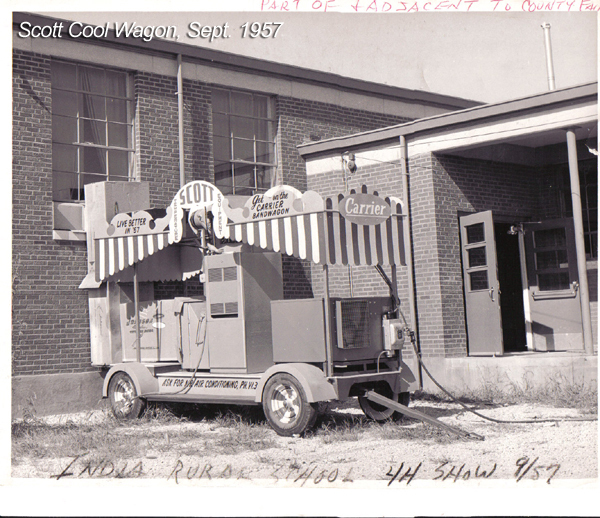 The new building was dedicated that year as Scott Temperature celebrated a quarter of a century of providing service and sales to Lawrence and the surrounding communities. More than 400 customers and community leaders participated in events dedicating the new building, as well as a ribbon-cutting ceremony. 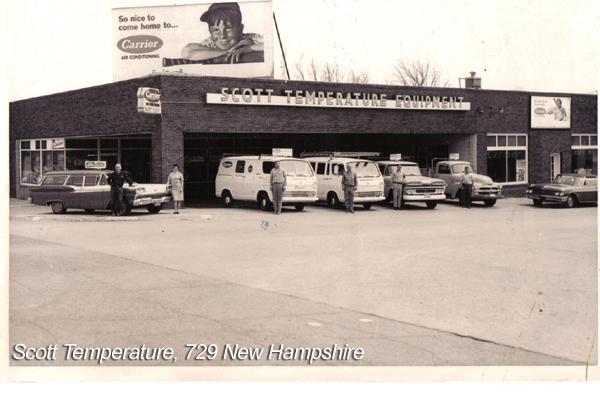 In 2005, Scott Temperature celebrated its 60th anniversary of business. 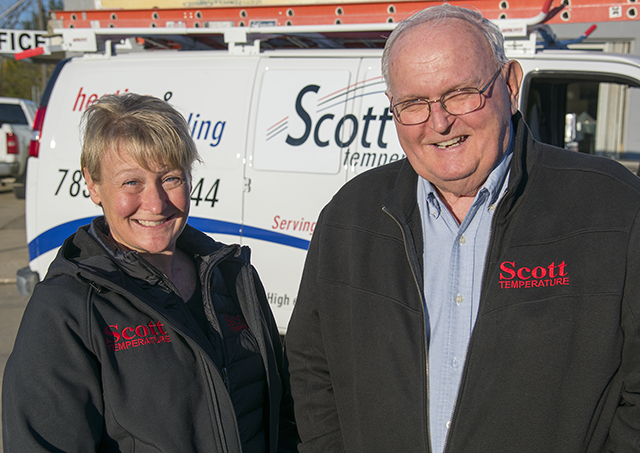 The company now has passed to the third generation of the Scott family. While the faces have changed, the company’s philosophy stays the same. The founding principles – of customer service and quality – remain as important today to this generation as they did to Scotty back in 1945.